Do an Edcamp model. Have your kids choose topics of interests or questions around one topic and then share them on flipcharts around the room. Then invite everyone add their names to the topics that look interesting to them. See what topics get the most interaction and choose the top topics or questions to focus on. Pick a catchy title. Have kids do research on catchy titles and brainstorm ideas so all group members have a voice in the process. Make sure your learners write the title last after they decide on a topic and direction for their project. Check out http://goinswriter.com/catchy-headlines/ for ideas for catchy titles. Articulate standards. Have each person in the group either individually or with another person responsible for identifying at least one standard that the project meets. Have them track and share out how the process with the project meets that standard. Pitch project. Have kids brainstorm what they believe their audience will need to learn and what they will need to know for the project. Have them design or find a way to “hook” the audience with a short summary of what they plan to do. Then have them pitch it to the class for constructive feedback. P rovide feedback. Kids like to help other kids. They can provide constructive feedback using “I like” for kids to say what they found works and why they like it. They can also share “I wonder” for kids to ask a question how or why something was used. They may even include “What if?” for ideas to try something new. PBL engages learners in authentic learning activities around real world problems. These are just a few ideas that I pulled from our book, How to Personalize Learning on pages 118-119. I wanted to share ideas that encourages voice and choice that you could use with a lesson, unit or PBL. 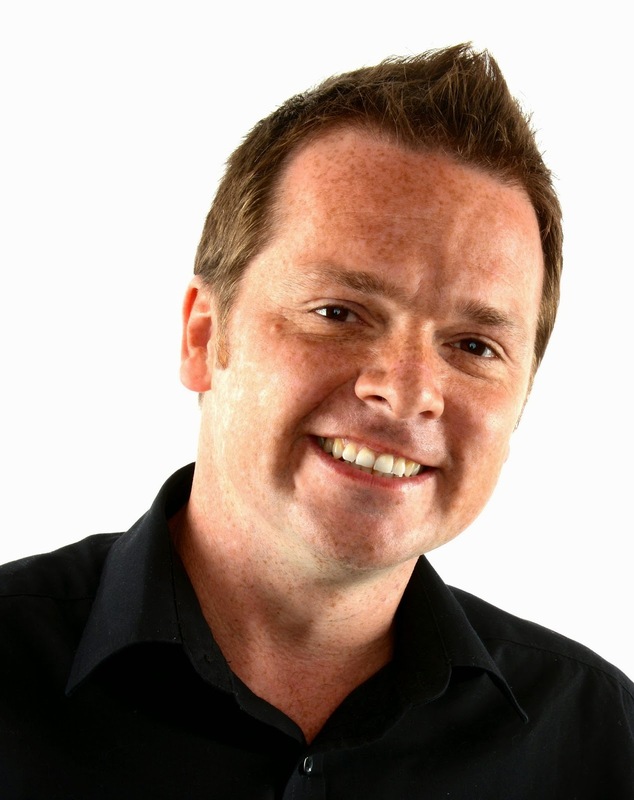 Kevin McLaughlin @kvnmcl is an ICT Coordinator / Primary Teacher at Old Mill Primary School, Broughton Astley, Leics, UK who transformed his classroom to a personalized learning environment. He is a Google Certified Teacher, an Apple Distinguished Educator, and Google Apps Certified Trainer. His students create PJs or what he calls their Personal Journeys. If you are going to consider personalised learning as an approach in your classroom then you should first understand that every learner is unique. Learners may appear to be similar and at times we can teach learners in the same fashion but to use this whole class approach for every lesson you teach then you run the risk of leaving learners behind. Learning requires more than a teaching plan that focuses on teaching. As educators we need to focus on the learning that is going to occur and the learning that is to come. We can do this by using a personalised learning approach. 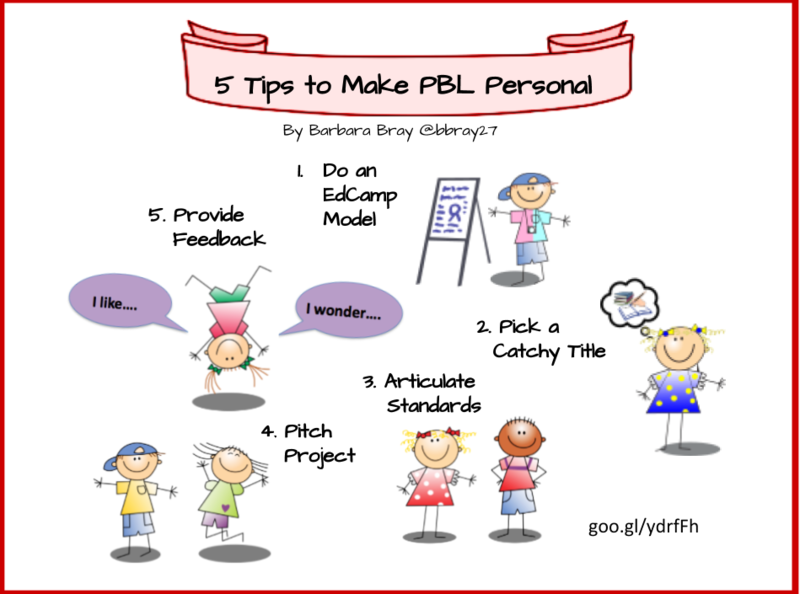 What is your vision of personalizing learning? I have envisaged personalised learning in my classroom as one that involves every learner in the development of their learning journey, that includes their own learning themes as well as those that the curriculum requires of them and allows them the opportunity to explore this learning in any way they see fit to achieve it. Describe the first steps that you took to create a personalized learning environment in your classroom? I began developing my approach when I realised that the three step teaching approach – introduction, main activity and plenary was hindering many of the learners in my class. Those that understood the learning focus would grow bored very quickly waiting for the opportunity to show off their learning. Those that required additional teaching had to sit through introductions and main activity demonstrations before getting the opportunity to be guided in their learning. A personalized approach gave me the time to focus on the needs of every learner from the onset. How did you decide on the new design of your classroom? I came up with the design after trial and error. I knew the traditional classroom layout would deter a personalized learning approach so it had to be changed. 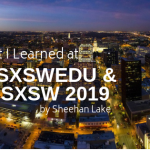 This requires a good understanding of your learners, how they interact with each other and the development of trust and respect from the start of the academic year as a personalized learning approach will be daunting for any teacher at first. You need to be prepared to allow the learners to move around, to interact with their peers, to sit anywhere with anyone, to use the floor space as well as a table and not to use groupings of any sort unless there is a specific reason for it. 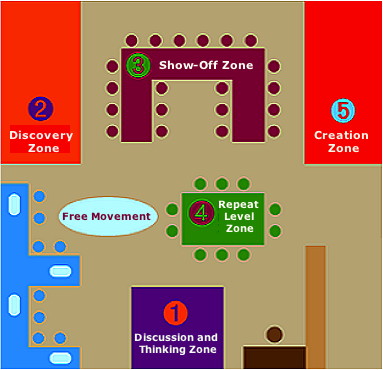 Discussion and Thinking Zone – Learners can drop in whenever they wish to talk about their learning, find solutions, help each other and just to think and chill out. It’s also still the area where my class gathers for a whole group focus or an additional Creation/Show Off zone. Discovery Zone – There are 2 of these although one is missed off the top of the image. These contain laptops, pc’s and other technology that the learners can use to guide them on their learning, discover answers, investigate and solve problems, collaborate on projects and create presentations. Show Off Zone – This is where the learners focus on discoveries they have made and demonstrate their understanding through writing, presentation, art work, display whatever medium they wish to present their work. Repeat Level – This has evolved from my use of Gamification of learning and an approach that my class enjoy. Whenever any learner requires help, advice, explanations and is ‘stuck’ this is the area they come to repeat the learning so they can move to the next level. Creation Zone – Creating content for use in their learning, creating presentations to demonstrate learning, blogging, refining, editing. It happens here and it’s usually very busy. 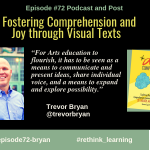 How does it contribute to personalizing learning for your students? The classroom layout allows my class the freedom to explore their learning in a way that would not be possible if they were grouped by ability and had specified seating arranged for them. Read more about this on Kevin’s website. 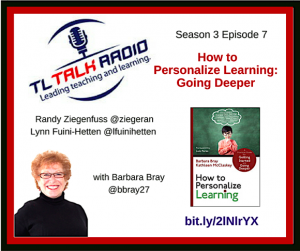 Season 3 Episode 7 on TL Talk Radio (March 7, 2017): Leading teaching and learning with Randy Ziegenfuss (@ziegeran) and Lynn Fuini-Hetten (@lfuinihetten) who interviewed me on change, deeper learning, design-thinking, project-based learning, and facilitating the design of coaching programs and learner-centered environments. Let’s start the conversation with your latest book, How to Personalize Learning. Can you give us an overview and why educators might want to read it? We spent the good part of last year defining our beliefs about learning as an organization. 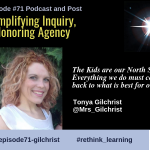 One of our beliefs is learner agency. Share with us your thoughts on learner agency and why it’s so important for today’s learners – young and old? Agency sounds like what all of us need. What is the challenge that is keeping our learners from developing the skills they need? We are thinking about a more intentional focus on project-based learning for next year. 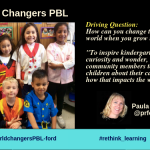 How do you think PBL can help transform learning? You are quite busy working with schools! What are the best models that schools and district might wish to learn from? Share with us what you are currently working on. What are you doing now? Check out my full interview and subscribe to TL Talk Radio for all of their fantastic interviews. Thanks Randy and Lynn for a lively discussion and asking me to be on your show again! Most teachers learned how to teach in a 20th century system. 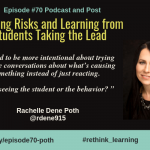 How can teachers shift their thinking so they are future focused? Technology has impacted every part of our lives. How does technology impact what kids need to learn and the teacher’s role in the future? Schools continue to look and operate like they did over 120 years ago. If there was no such thing as school, how might you design learning and the learning environment? What did you come up with after watching this video? Go ahead and make your case on what you see needs to be changed by adding a comment below. 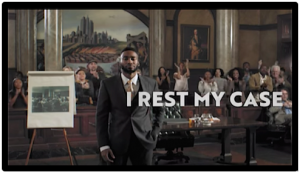 Or use this video to start your own discussions around change.